The world we live in today is one that is dramatically shaped by, and the result of, the greater fossil fuel industry of the globe. From gasoline powered vehicles to the plastics that are pervasive in every corner of the modern culture, it seems almost impossible that we could one day render this industry completely obsolete – yet the data shows that not only is it possible, we could theoretically move to powering the globe off of 100% renewable energy right now. 42 cities in North America have already committed to 100% renewable energy goals, with many more cities and states working towards their own unique energy goals. To aid in the development of meeting the goal of 100% renewable energy, an organization called The Solutions project has mapped out the required ratio of different renewable energy sources that would be required to power all 50 American States, and most of the major countries of the world. The data from Stanford University projects an energy mix in 2050 for New York State that is dominated by energy generated by offshore wind (at 40% of the total energy mix) and solar plants (at 35.8% of the total energy mix). Onshore wind would account for about 10%, and rooftop solar from both residential and commercial or governmental pv panels would account for roughly 7%, followed by hydroelectric at 6.5%. The State is aware of the massive potential for offshore wind generation, but New York has met some roadblocks in its ambitious Offshore Wind Master Plan – There was an objective to invest heavily in offshore wind off Long Island’s coat that initially fell through, but as of this month the state has announced that they have asked the Federal Bureau of Ocean Energy Management (BOEM) to identify and lease at least four new wind energy areas off the Atlantic Coast of New York. Each would be capable of accommodating at least 800 MW of offshore wind generation, fulfilling one of the key goals of their Master Plan. Offshore wind in and of itself is a multi-billion-dollar industry that is predicted to support 160,000 US jobs over the next 30 years in construction, manufacturing, and operation. One of the principal arguments that fossil fuel industries make for the continued subsidy and existence of their economic market could be seen as the number of jobs they claim to create in the domestic market, but as the 2017 U.S. Energy and Employment Report shows, clean energy jobs have actually surpassed those provided by fossil fuel industry, with almost 1 million Americans working near or full time in the clean energy sector. The Solutions Project projects that the number of jobs created by making the switch to a 100% renewable energy grid in New York State (where a person is employed for 40 consecutive years) would be 174,775 construction and 94,644 operation jobs – and that’s just within the state alone. The other argument tends to be the relative price and abundance of the fossil fuel industry, but studies have shown that wind and solar are actually our cheapest electricity sources now – based on the levelized cost of energy (LCOE) which is an analysis method that identifies how much each unit of electricity in megawatt-hours (MWh) costs to generate over the lifetime of any energy power plant. It represents every component of cost, from capital expenditure and operations to maintenance and fuel costs. The method allows us to compare many different technologies in a fair and equal manner. Other important things to keep in mind when discussing price is the ever favorite concept of efficiency. If powering the grid with wind, water, and sun, our overall energy demand in New York State would be reduced by 36%! Only 1% of the state GDP would be saved per year in avoided health costs, which may seem small until one realizes that 1% of the state’s GDP every year amounts to about $22.3 billion dollars. The transition to 100% renewables would pay for itself in as little as 6 years from the air pollution and climate cost savings alone, and an average of 3,137 lives would be saved that would ordinarily be lost to air pollution. The reason that the earlier attempt by New York State to invest in offshore wind fell through was that residents on Long Island fell into the phenomenon known as NIMBY – “Not in my backyard”, and it seems like the main reason that we have not already made the transition into renewable energy resources have not necessarily been from an economic advantage, given the current status of availability and price of renewable energy even despite large economies of scale and some seemingly daunting initial startup costs and infrastructure capital. 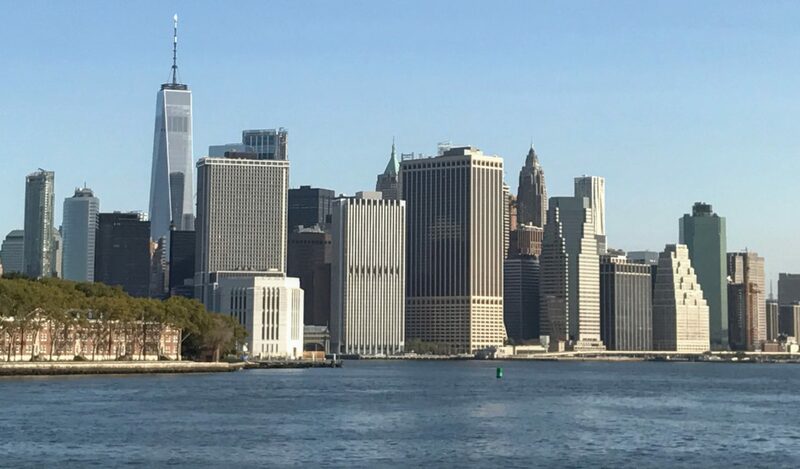 As the state continues to work with BOEM to invest in more offshore wind projects, it will be interesting to see how New York navigates its energy needs. One thing is for certain – 100% renewable energy is not only possible in New York, but seems to already be the trend for the future from an economic standpoint.